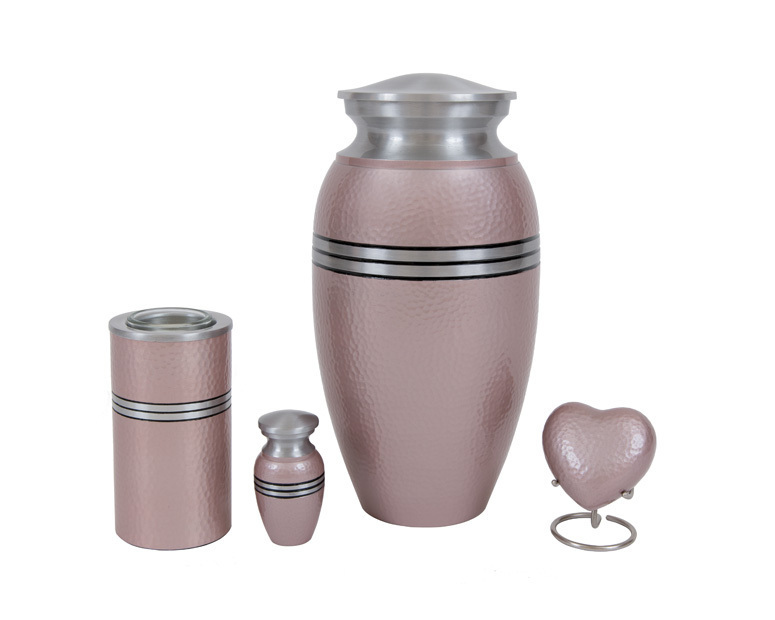 The Cosmo Urn collection is made out of aluminum and features a hammered texture in pink, blue or silver with pewter accents and three black antiqued lines that encircle with detail. 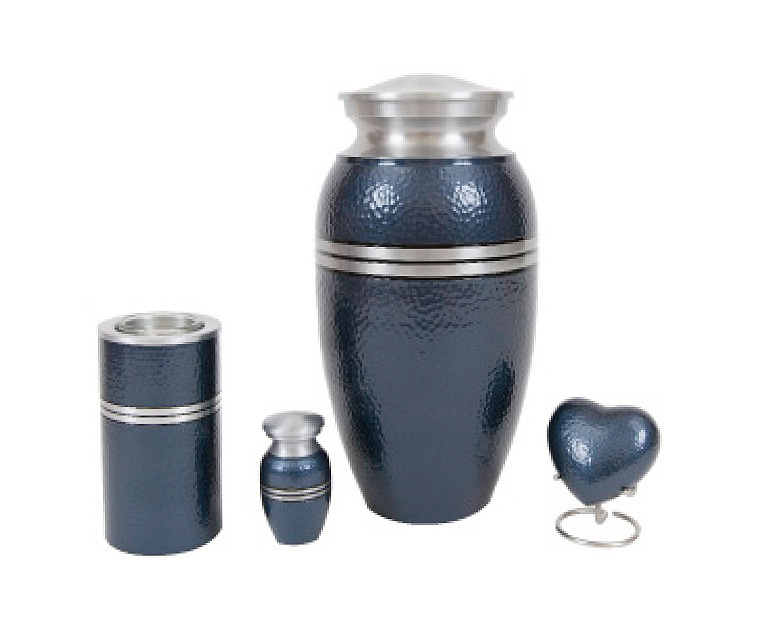 The collection is completed with matching heart, memory light and traditional keepsakes. 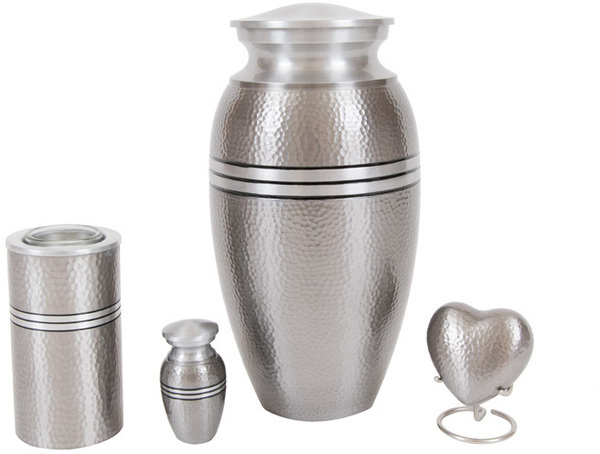 Heart stand is sold separately.